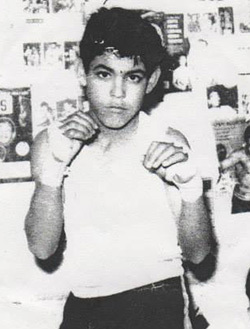 Primitivo Garcia Loya was born on August 29th, 1943 to Antonio Garcia Garcia & Gregoria Loya Lerma in a little town by the name of “La Labor del Tequesquite” just outside of San Antonio del Tule in the state of Chihuahua, MEXICO. El Tule is located on the central-southern part of the state just north-west of Hidalgo de Parral, not too far from the border of the state of Durango. At the age of 8 years old, his family moved to Camargo, Chihuahua (south-east of the city of Chihuahua, see map below) where he attended grade school and grew up. His paternal grandparents were named Primitivo Garcia & Rebecca Garcia. 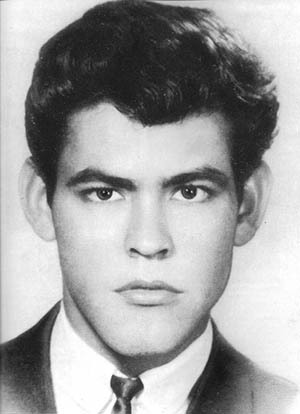 His maternal grandparents were Priciliano Loya and Gregoria Lerma. Primitivo was the 9th of eleven children born to Antonio and Gregoria. The order of the siblings are as follows: Elisa, Chano (Priciliano), Roberto, Rafael, Manuel, Raul, Quico (Fransico), Primitivo, Alfredo & Irene. In 1965 Tivo and his family came to Kansas City, MO in search of the American Dream. Tivo worked as a shipping clerk and had many dreams and goals. He wanted to buy his mother a home, become an artist, marry, have children and grow old enjoying his family and extended family. Tivo began taking English classes at Westport High School in 1966 and was excited at the opportunity of becoming an American Citizen. 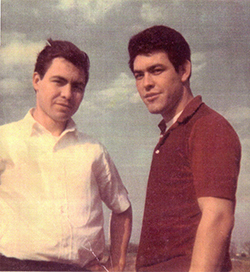 On November 15, 1967, Primitivo Garcia, a 23-year-old Mexican immigrant was leaving his evening English class along with his brother Alfredo Garcia when they witnessed the attack of their English teacher and ran to her rescue. Margaret Kindermann was 5 months pregnant, fearing for her life and the life of her unborn child as she was being assaulted by a teenage gang. As Tivo drew the attention of the gang towards him and away from his teacher he heard one of the kids yell “Shoot Him, Shoot Him.” Tivo was shot in the stomach while defending his teacher and died from his wounds 13 days later. Primitivo was the first local Hispanic hero in Kansas City. At the time of his death, November 28th, the governor of Missouri, Warren Hearnes, declared him an honorary citizen of the state as well as declaring December 1st Primitivo Garcia day in Kansas City, Missouri and dedicating a memorial site in his name at a park in the community. The Carnegie Hero Fund Commission awarded him with a Carnegie Medal in recognition of an outstanding act of heroism, the Missouri House of Representatives granted him “posthumous American citizenship” and The Catholic Youth of Diocese of Kansas City-St. Joseph dedicated their 1968 yearbook to him. 25 years after Tivo’s death, Jose Arce, a local reporter, did a two part televised story in memory of him. On April 20, 1993 the Kansas City School Board named the New West Magnet School as the Primitivo Garcia World Language School. 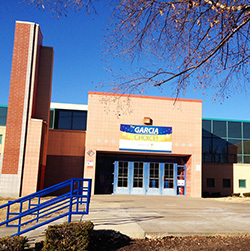 Today they are simply Primitivo Garcia Elementary, the only school building in Kansas City named after a Latino. Margaret Kindermann was 5 months pregnant, fearing for her life and the life of her unborn child as she was being assaulted by a teenage gang. As Tivo drew the attention of the gang towards him and away from his teacher he heard one of the kids yell “Shoot Him, Shoot Him.” Tivo was shot in the stomach while defending his teacher and died from his wounds 13 days later. Tivo’s spirit lives on in the school walls, in the community and in the people he touches even today with his legacy. The Kansas City Coalition held their meeting number 5 at the Primitivo Garcia School for the Immigrant Workers Freedom Ride in the fall of 2003. 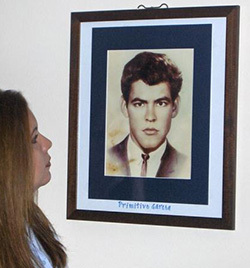 Every year, the school celebrates his life, death and legacy on his day, December 1st. The Garcia family proudly unites at the school along with the community to remember Tivo and honor his memory as well as see traces of his soul in the eyes of every child singing his song. These children are now studying other heroes such as Cesar E. Chavez and reminding us all that we have a hero inside of us waiting to emerge in life, today. The vision of the Memory of Primitivo Garcia Committee is a Kansas City Hispanic community that remembers Primitivo Garcia’s heroic actions and his legacy continues through the Primitivo Garcia Elementary School. We invite you to follow us on Facebook, Subscribe to our blog and Save the Date of Saturday, November 25th, 2017 for our 50th Year Memorial Celebration.